Welcome to the expressgrass.com terms and conditions for use. If you do not agree to be bound by these terms and conditions you may not use or access this Website. View terms and conditions before you place an order, if you have any questions relating to these terms and conditions please contact our Customer Service team by e-mail We have made every effort to ensure that the information and content of this website is accurate and up to date. We cannot be held liable for any errors, omissions or changes in price. All products are subject to availability. All images on the website are for illustration purposes only and are intended to give a general guide of how the product may look. • If you decide to cancel, you should return the goods to us at your cost within 14 days of such cancellation and we will reimburse to you (by the method used to pay for the original transaction) the amount in relation to goods to which cancellation rights apply. This includes the cost of delivery. If your order confirmation contains any errors you must immediately advise us by telephone or email. We will do our best to amend these for you however due to our quick same day despatch this may not always be possible. Once you have received a tracking notification email no changes what so ever are possible and you will become liable for cancellation and return charges as outlined below. We are unable to give a precise delivery times unless it has been agreed in advance. Our standard delivery time is 2 to 3 working days anytime between the hours of 8am and 8pm. Orders placed by 3pm on any given working day can be delivered as early as the next working day. This is not a definitive guide and only applies to mainland deliveries in England and Wales. Please note that overnight deliveries to Scotland are non-guaranteed and offshore islands can take 3-5 working days to arrive. 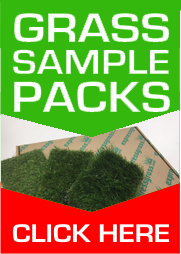 Please be aware that Expressgrass.com will not entertain any claim for compensation because of a late delivery, which is handled by a third party carrier and is out of our control. We cannot accept any liability for time or economic loss as a result of, but not limited to; advanced installation bookings, employment holiday, event delay and alike. We will however refund any addition delivery upgrade charge that you may have purchased and the carrier has not been able to achieve, this however will be the limit of any claim. Although we will make every effort to amend mistaken delivery addresses after the order has been placed, we cannot be held responsible for late deliveries if the customer has specified the incorrect address or postcode during checkout. If the order must then be forwarded to a new address, a charge for re-delivery will apply and we also reserve the right to deduct any such charge from any refund given should the order be subsequently cancelled. We may send you an email containing a link to the delivery carriers tracking system. The information on their system is a guide to the progress of your delivery. Due to this information being out of our control we cannot be held accountable for any arrangement you make based on information you have received. Special instructions passed directly by yourself to the 3rd party carrier are treated as a non-guaranteed requests and are carried out at the carrier’s own discretion. 3rd party carriers complete all our standard delivery services on a 1-man service. On some heavy items the driver may often require assistance unloading your order. If you are unable to assist for any reason you must advise us of this before your order in despatched. Due to the size of some delivery vehicles, as a guide the largest would be a 7.5 ton lorry (usually able to go anywhere where your council bin lorry can access), any carriers delivering on our behalf must be informed of any restrictions regarding access. This includes (but is not limited to); steps, any overhanging/low trees/shrubs, steep driveways, narrow lanes, tight bends or any other restrictions that may make it difficult for the delivering vehicle to gain access to the point of delivery. Expressgrass.com will not accept any claims for compensation arising from non/failed/refused/delayed/returned deliveries by either yourself or the carrier on the basis of being unable to unload to an agreeable location within a 15 minute timescale or are prevented from do so by access restrictions. Re-delivery or cancellations charges will be applicable when your order is finally delivered or returned to us. If the carrier is able to leave your order with a neighbour or other deemed suitable party, we cannot be held responsible if the order is left in the wrong location. We are unable to request the carrier to return and move the items. As damages can occur in transit and issues can arise to prevent the delivery that are out of our control, we cannot accept any liability for time or financial loss as a result of, for example but not limited to; advanced fitter booking, employment holiday etc. These provisions made are by your choice and at your discretion, but do not affect your statutory rights. We would also ask all customers to check their order in full prior to arranging any additional services or aforementioned costs, as we cannot be held liable for additional costs incurred. If your order is found to be incorrect on delivery or inspection, we will arrange for a replacement item or refund for any incorrect items at no additional cost to you. If the order you receive has any damage on the exterior packaging you must check the contents and list the damage on the driver's delivery note, if the words 'goods delivered in good condition' are on the delivery form next to your signature they need to be crossed out. If you are at all worried about the goods being damaged, you must sign for the goods as ‘Damaged’ on receipt ore refuse delivery. Any damage must be reported to Expressgrass.com within 24 hours of signing. If someone else is signing on your behalf they must be made aware of the above. If the roll is damaged and you have failed to make any attempt to list this on the delivery note, Expressgrass.com or the carrier cannot be held responsible. We reserve the right to over supply each cut length but up to 1m. However will follow the guidance of BS 3655 (roll materials tolerance of +/- 1.25%) with regard to shortage claims. We would always advise customers to take this into account when deciding on the measurements to purchase. We cannot be held responsible any orders that are too short within these British Standard tolerances. Our cutting machines are fully automated however errors of a size or material type nature may occur if miss programmed by the operator. We will investigate a claim for an error as soon as we are advised, this will involve confirming the data entered by the operator and also an item weight check obtained from the delivery carrier. You will need to supply us with photographic evidence for all claims in relation to errors in material type supplied. If we are in agreement that an error has taken place we will immediately replace the item/s using our next working day delivery service. We reserve the right for us to collect the original item/s before a replacement is despatched in all cases where it is unclear to us how the error occurred. You must co-operate and make yourself available for collections (which may be on a different day than the replacement is received) of any item/s that needs returning to us. If the courier is unable to collect for any reason the uncollected item/s will be deemed as an outstanding debt at the full retail price, you will also be liable for all further costs involved in collecting and transporting of the return back to us. We will not entertain any compensation claims regardless of fault due to errors in size or material supplied, we cannot accept any liability for time or economic loss as a result of, but not limited to; advanced installation bookings, employment holiday, event delay and alike. We recommend that you time your delivery to allow at least 3 working days before the required date so that you can fully check your order. All items supplied must be carefully inspected BEFORE INSTALLATION to check there is no issues in regard to; type, specification, size, quantity, colour matching, manufacturing faults or delivery damage. If any of the above are found in material supplied you MUST NOT commence installation, report the issue immediately to us by either telephone, email or fax. Do not install any items until we have replied to you, even if item is fault-free. Under no circumstance what so ever will expressgrass.com accept claims for any of the above once the material has been cut and/or installed in any way. All products supplied are fit for purpose in a domestic environment, use of any product in a commercial environment must be agreed in writing with ourselves before purchase. We are not liable for damage to products caused by heating in excess of 100c or by reflected sunlight, neither are covered by manufacturer warranties. Under the Distance Selling Regulations 13c, you cannot cancel any customised order once it has been cut and/or despatched. However, if an order has already left our possession, we will require you to pay the associated costs of returning the item to us before we will refund the purchase as well as any cutting fees. Once the item has been delivered you have the standard 7 days statutory rights to report any manufacturing flaws or internal damage. However if the product has been used (fitting / attempted fitting) or you do not have the packaging, this will be deemed as acceptance of goods and we will not accept the return. You may cancel your order for a full refund prior to your order being cut and/or despatched. If you cancel your order after it has been despatched, you are responsible and all freight charges incurred by expressgrass.com. These freight charges will be based on carrier’s cost price. Orders placed with “Free Delivery” offer will be treated at our standard delivery rate to your location. Charges will be deducted from your refund (see 'Distance Selling Regulations' above). If you refuse to accept delivery of your order for any other reason than the product being damaged in transit, you are liable for all outward and return freight charges incurred by your refusal. Please be aware that cut to size items also carry a minimum cutting fee. Goods must be rolled/sealed in the original packaging. In accordance with Distance Selling Regulations, we require an email confirmation that you wish to return your item(s). We can collect with our carrier and provide you with a refund as long as the item or un-fitted material can still be collected and safely transported back in the original packaging. A charge for collection will be deducted from the refund if the product(s) are untainted and the customer changes their mind. This charge is dependent upon your location and the weight of the product(s). Please be aware that return 3rd party collection charges are more expensive than original outbound delivery charges. If we have delivered the wrong order to you, or if the products arrived faulty, you will not be charged for the collection. If a product is returned as damaged/faulty by the customer, and upon inspection is found to be undamaged/without fault; we reserve the right to deduct collection charges and cutting fees from your refund. When placing an order, which involved stating your required dimensions for the item, your order is tailored uniquely to your bespoke size. If you wish to cancel your order after the item has been cut to size (cutting commences immediately after payment is received), we charge a minimum cutting fee of £25, or 25% of the total value, excluding delivery - whichever is greater. Boxed / retail packaged items such as underlays and adhesives are not cut to size and are therefore not subject to cutting fees. You acknowledge and agree that all copyright, trademarks and all other intellectual property rights in all material including terms & conditions text or content supplied as part of the website shall remain at all times vested in us or our licensors. You are permitted to use this material only as expressly authorised by expressgrass.com or our licensors. While we will use reasonable endeavours to verify the accuracy of any information we place on the website, we make no warranties, whether express or implied in relation to its accuracy. Any advice implied or given contained within the website is given in good faith, it must not however be used as a definitive guide to a installation method, you must ensure you seek confirmation that any items ordered are suitable. The website is provided on an "as is" and "as available" basis without any representation or endorsement made and we make no warranties of any kind, whether express or implied, in relation to the website, or any transaction that may be conducted on or through the Website including but not limited to, implied warranties of non-infringement, compatibility, security, accuracy, conditions of completeness, or any implied warranty arising from course of dealing or usage or trade. These conditions govern our relationship with you. Any changes to these conditions must be in writing and signed by both parties. In this way, we can avoid any problems surrounding what expressgrass.com and you are expected to do. You confirm that, in agreeing to accept the terms & conditions, you have not relied on any representation save in so far as the same has expressly been made a term of these conditions and you agree that you shall have no remedy in respect of any representation. Your statutory rights are not affected by these terms and conditions. Nothing in this clause shall limit or exclude our liability in respect of any fraudulent or negligent misrepresentation whether or not such has become a term of the conditions. We hope that you're pleased with any purchase you've made or service you've received from us, and that you'll never have reason to complain - but if there's something you're not happy with, we'd like you to tell the relevant department about it so that we can try to put matters right. In the first instance, if you're in one of our stores, do ask to speak to a manager, or call or email us as soon as possible. If you call us, we'll try to sort out your complaint while you're on the phone. There are certain types of complaints that we do ask for further details to be recorded before we can investigate further. The the links below are to forms that allow your complaint to be logged and dealt with in the quickest possible time. Please note that telephone operators cannot escalate your complaint unless a completed form has been received. If you are unable to successfully submit a complaint form or you don't a have online access to please write directly to our head of customer services at the address below. We don't regularly monitor social media and therefore cannot address matters that arise from complaints, comments, feedback or reviews submitted online.